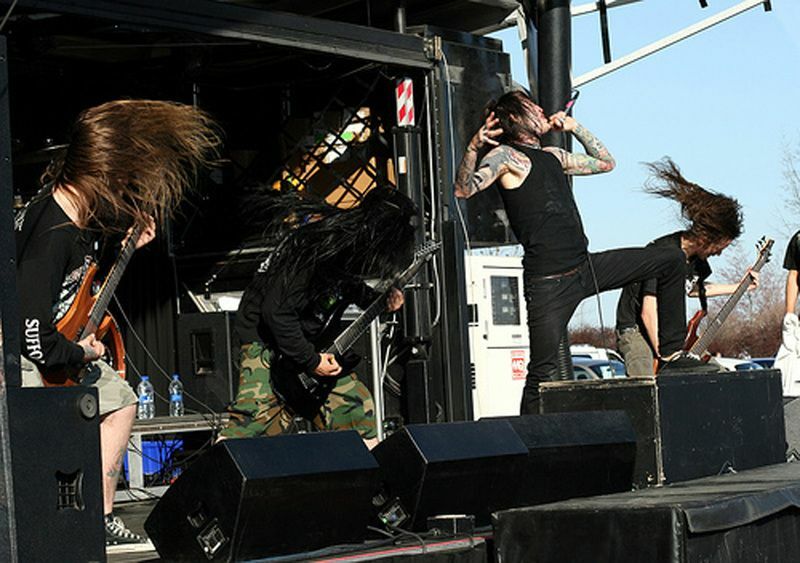 Suicide Silence is an American deathcore band from Riverside, California. Formed in 2002, the band has released five full-length studio albums, one EP, and eleven music videos. They have received a fair amount of praise, being awarded the Revolver Golden God award for "Best New Talent" in 2009. 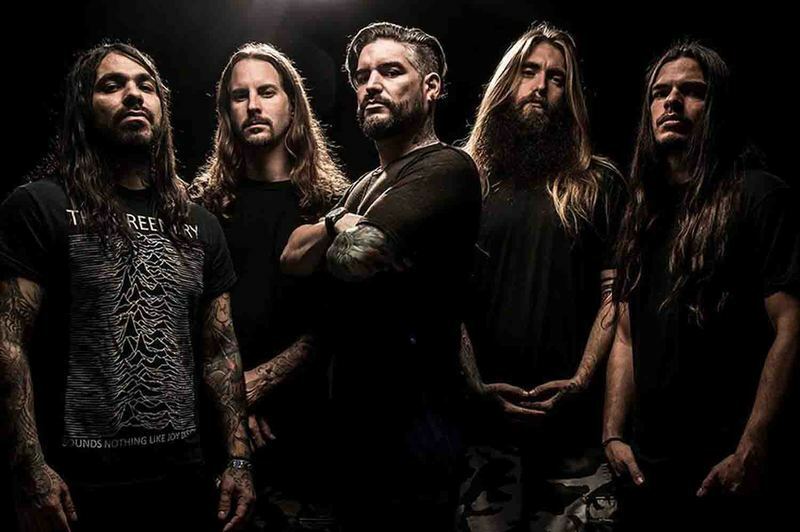 The group currently consists of guitarists Chris Garza and Mark Heylmun, drummer Alex Lopez, bassist Dan Kenny, and vocalist Hernan "Eddie" Hermida.Suicide Silence was founded in 2002 at Riverside, California. At the time, it was a side project made up of musicians from other bands. Their first live show was performed locally in Riverside, with a line-up consisting of Chris Garza (guitar), Rick Ash (guitar), Mike Bodkins (bass), Josh Goddard (drums) and vocalists Mitch Lucker and Tanner Womack. Despite being fired soon after, Womack's vocals appeared on the band's 2003 Death Awaits demo.After Death Awaits was completed, the band began recording a second demo, which was released in 2004 and contained the song "Stand Strong" with Lucker's vocals instead of Womack's. It was by this time, the band members began committing more time to Suicide Silence. Soon after, they recorded and released their first studio effort; a self-titled EP that was released in 2005. It was initially released by Third Degree Records, and later re-released in the UK through In at the Deep End Records.2006 marked the departure of drummer Josh Goddard, who was replaced by Alex Lopez (ex-guitarist for Blacheart Eulogy and The Funeral Pyre). 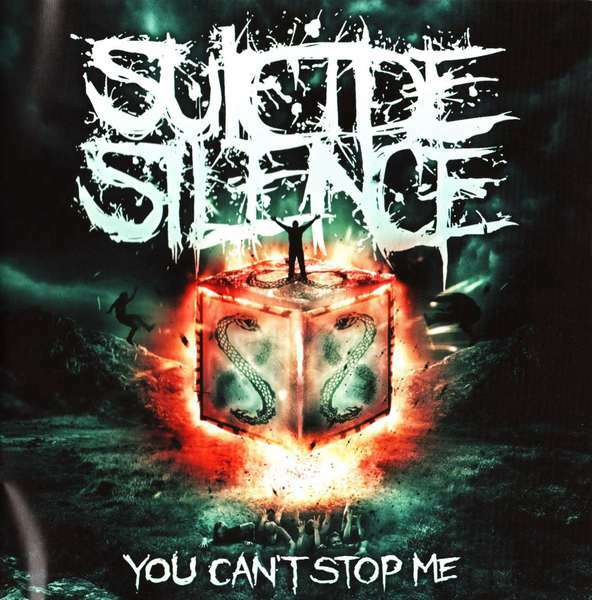 You Can't Stop Me is the fourth album by the deathcore band Suicide Silence. It was released on July 14, 2014, by Nuclear Blast. It is the first album with the vocalist Hernan "Eddie" Hermida, and the first album without the original singer Mitch Lucker, who died in 2012.Suicide Silence have been one of the more successful deathcore bands, growing their fan base and profile with each album. 2011‘s ‘The Black Crown’ was their most successful so far, debuting at No. 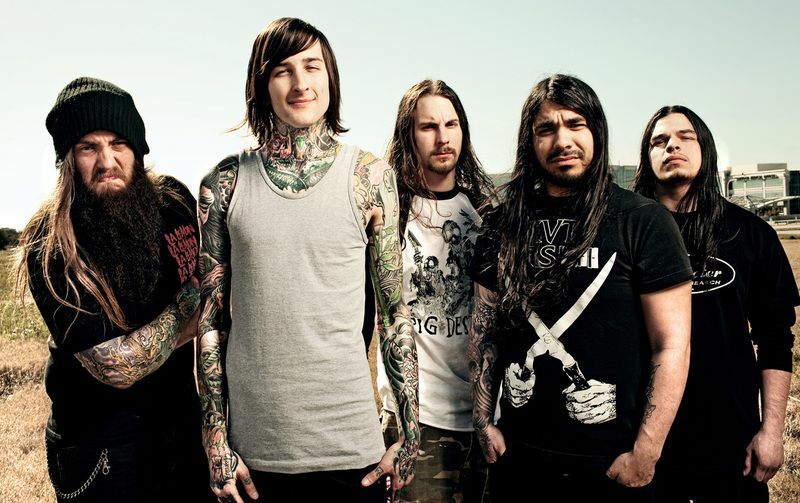 28 on the Billboard 200 and landing the band on several high-profile tours.The metal world was stunned to learn of frontman Mitch Lucker’s death following a motorcycle accident in November of 2012. He was just 28 years old.After this devastating tragedy, the band decided to carry on, and brought aboard their friend Eddie Hermida from All Shall Perish as the band's new vocalist. Hermida makes his recording debut for Suicide Silence on their latest album ‘You Can’t Stop Me.’ The title track includes lyrics written by Lucker.This is a cathartic album, with Suicide Silence unloading a variety of emotions while delivering a passionate performance. That’s especially the case with Hermida. 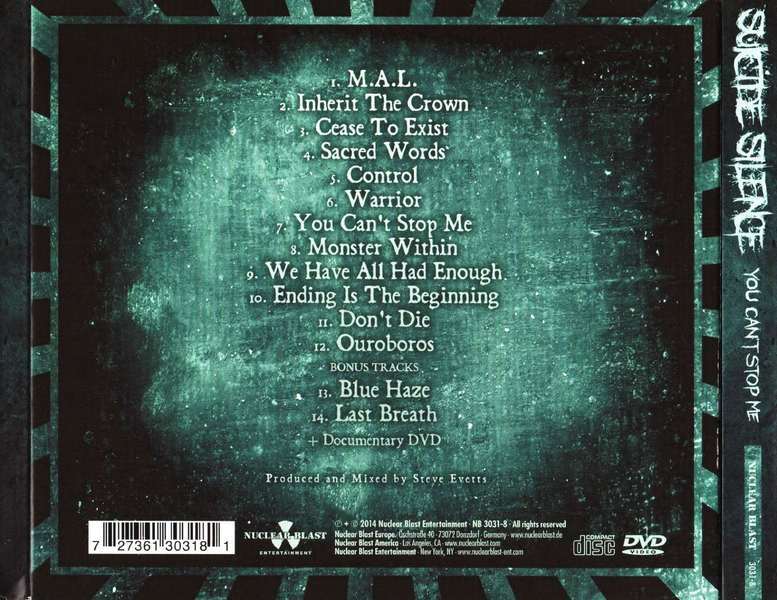 He was an excellent vocalist with All Shall Perish, but has really stepped up his game on ‘You Can’t Stop Me.’There are some potent songs, especially on the first half of the album. Suicide Silence are a force to be reckoned with when clicking on all cylinders, like on the blazing track ‘Cease to Exist.’ It features galloping riffs and a varied performance from Hermida that ranges from low pitched gurgles to throat-ripping screams.Another standout is ‘Control,’ which features a guest appearance from George ‘Corpsegrinder’ Fisher of Cannibal Corpse. It’s a bludgeoning song loaded with brutality, made even more brutal by Corpsegrinder. The Dillinger Escape Plan's Greg Puciato lends his talents to the track “Monster Within.’And while there are some really strong songs, a few others stick comfortably within the confines of the deathcore genre. Hermida’s vocals raise them above filler level, but they don’t reach the high bar set by some of the others.Perhaps the most intriguing song on the album is ‘Ending Is the Beginning.’ It was originally recorded for the band’s 2005 self-titled EP. It’s interesting to hear the 2014 version of the band playing the early material, showing how much their chops have improved.Suicide Silence’s songwriting has also improved. They add a little more variety to the proceedings than on past albums, such as the intro to ‘Sacred Words’ and the album closer ‘Ouroboros.’ ‘You Can’t Stop Me’ is an album that is a fitting tribute to Lucker, and serves notice that the band is taking the album title literally as they keep moving forward. George "Corpsegrinder" Fisher – additional vocals on "Control"
Greg Puciato – additional vocals on "Monster Within"